Outdoor lights can give instant atmosphere to your garden or balcony. 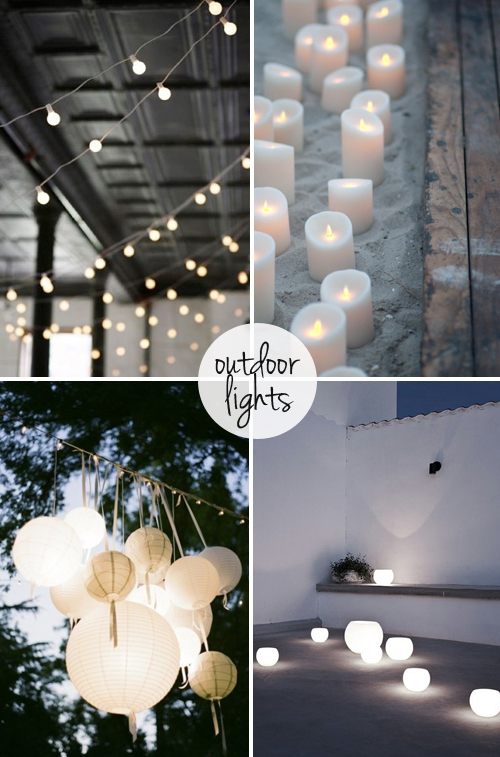 Here are some examples of how various forms of lights are used in outdoor areas. 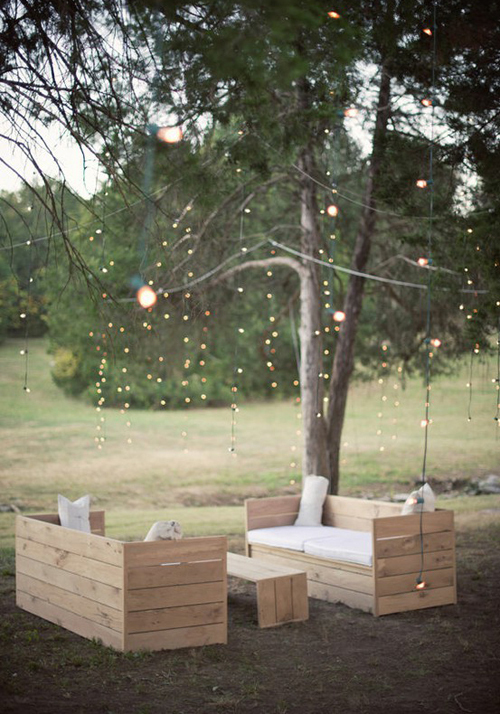 String lights look so fun! I absolutely agree. 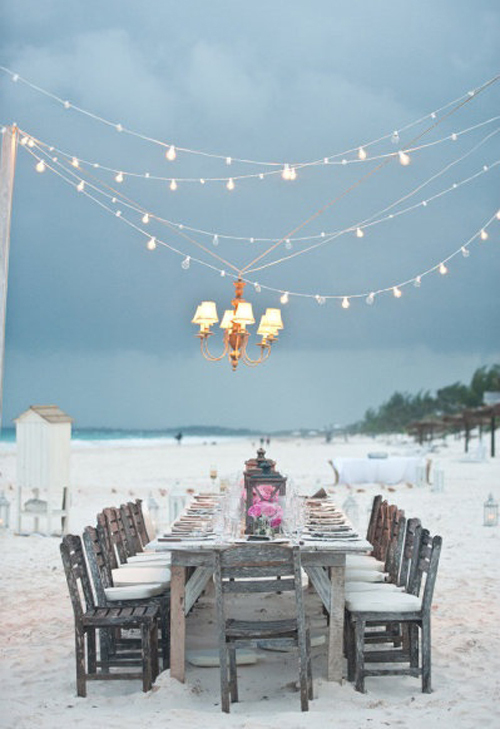 Outdoor lights bring a whimsical feel to an outdoor event. I especially am fond of fairy lights. But I also like mixing fairy lights with other bigger outdoor lights. I love the chandelier hanging amongst the bulb lights! Gorgeous. I’m definitely doing that on my patio. Like, this weekend.